Located on the Mississippi River, this historic town (gateway to the west) It is the 2nd largest city in Missouri. 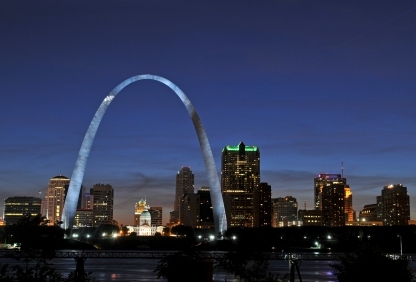 Saint Louis is a major city of over 350,000 people. It has many neighborhoods and a very rich trove of cultural and civic resources, including the Saint Louis Art Museum, the Missouri Botanical Garden, and the Saint Louis Zoological Park. 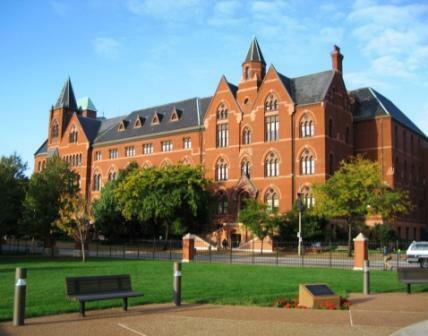 Photo of Dubourg Hall at St. Louis University courtesy of Wikipedia. There are many neighborhoods suitable for retirees as well as active adult and 55+ communities. The median value of a home was $141,000 in 2010, according to the National Association of Realtors (NAR). That is about $40,000 less than the national average. Its history and cultural institutions, such as the St. Louis Zoo, make it very special. The arch has become the symbol of the city. The friendly people are special too. Washington University is one of America's leading universities. Saint Louis has an exceptionally high crime rate, which is presumably related to neighborhood. St. Louis has all the cultural attractions you would expect in a major city, including professional sports teams. The St. Louis Zoo is one of the premier zoos in the world. The crime rate in St. Louis is very high, although it certainly varies by neighborhood.